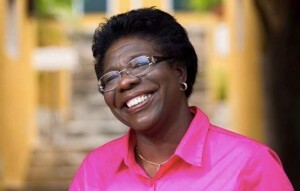 WILLEMSTAD – The Member of Parliament for the party Korsou Hustu, Omayra Leeflang indicated that if the coalition should approach her to join, she would like to negotiate the government agreement first. During the formation of the cabinet, there were already talks of her party joining the coalition. Back then she did not have any demands for a ministerial portfolio. But now Leeflang wants to have an influence on the content of the government policy. The MP says that this is in the interest and the welfare of the people. The MP did not state exactly what she wants to see changed. The coalition parties discussed mutually last Monday about the possible expansion of the narrow majority in Parliament. Un Korsou Hustu seemed to be the only acceptable partner, but the party has not been approached yet. According to sources, the coalition wants to offer the Ministerial post of Education, Culture, Science and Sports to the new partner.